The heavy metal superstars are back! The band originally announced their intent to retire in 2012, with their "Epitaph" tour set to coincide with the departure of Dowling; however, retirement was not for the group as they soon came back with new music! 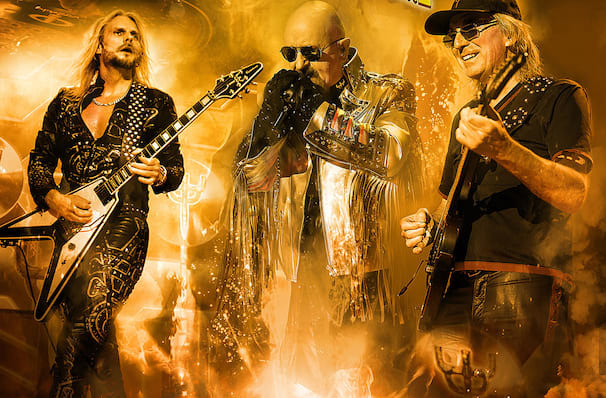 With their career now spanning 40 years Judas Priest show no signs of slowing down. Having rocketed to superstar status with the release of 1982's Screaming for Vengeance - which to this date remains the band's most successful album - the band are also noted for spawning the macho metal/biker look that is now commonplace for metal bands. And if anybody was in any doubt as to the depth of their status, in 2010, Priest were rated by MTV as the second "Greatest Metal Band" of all time after Black Sabbath. 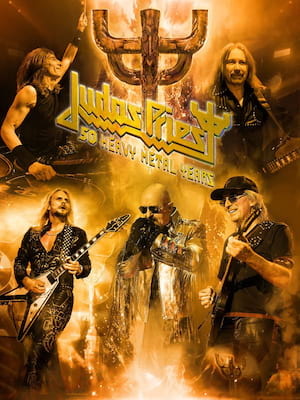 In 2017 Judas Priest have also been nominated to be inducted into the Rock n' Roll hall of Fame, adding to the bands prestigious and infamous status as one of the best Metal bands in the world. Sound good to you? Share this page on social media and let your friends know about Judas Priest at Citizens Business Bank Arena. Please note: The term Citizens Business Bank Arena and/or Judas Priest as well as all associated graphics, logos, and/or other trademarks, tradenames or copyrights are the property of the Citizens Business Bank Arena and/or Judas Priest and are used herein for factual descriptive purposes only. We are in no way associated with or authorized by the Citizens Business Bank Arena and/or Judas Priest and neither that entity nor any of its affiliates have licensed or endorsed us to sell tickets, goods and or services in conjunction with their events.